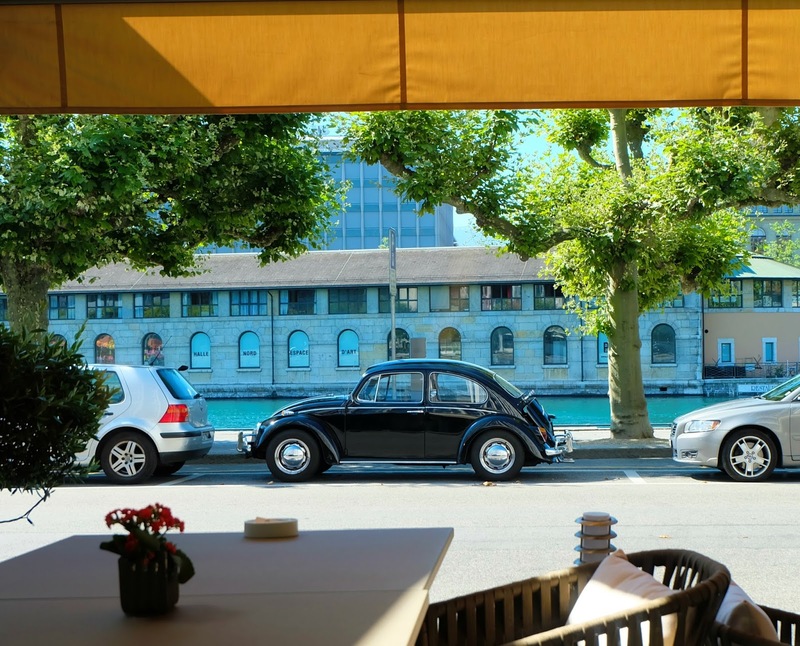 "A city break in Geneva? No way- why would I? 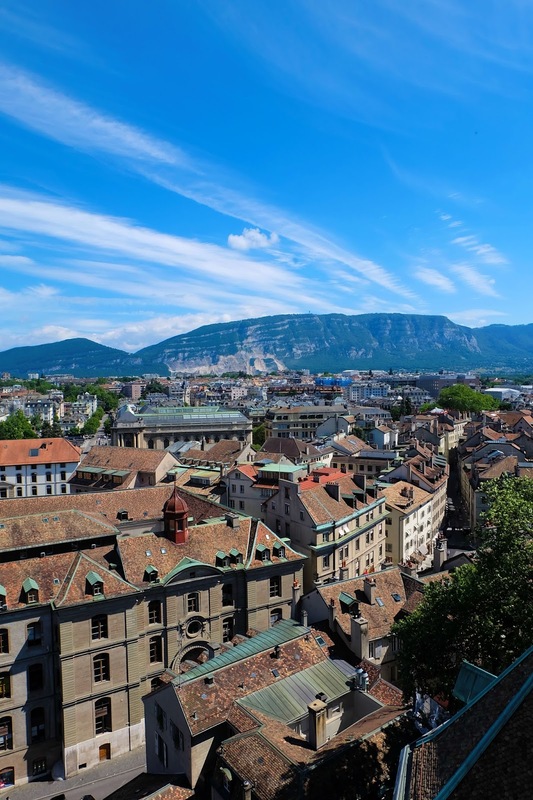 Geneva is just a financial city, right?" - WRONG. I was so wrong. 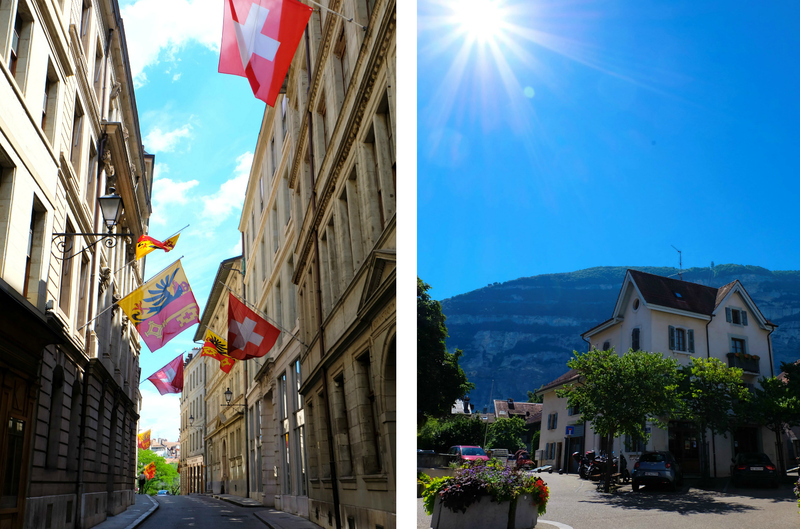 Last year on my Switzerland road trip me & Jack decided to miss Geneva, simply because I thought that Geneva was just for bankers and business related trips! I'm glad my eyes have been opened now. 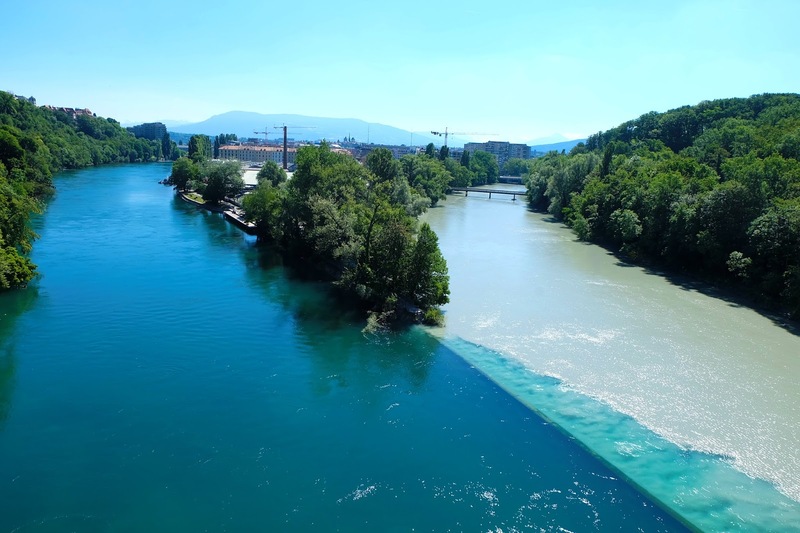 Geneva is stunning. & if you have the sun shining on your visit, even better! Reading not your thing any more? Watch my Geneva Vlog here. 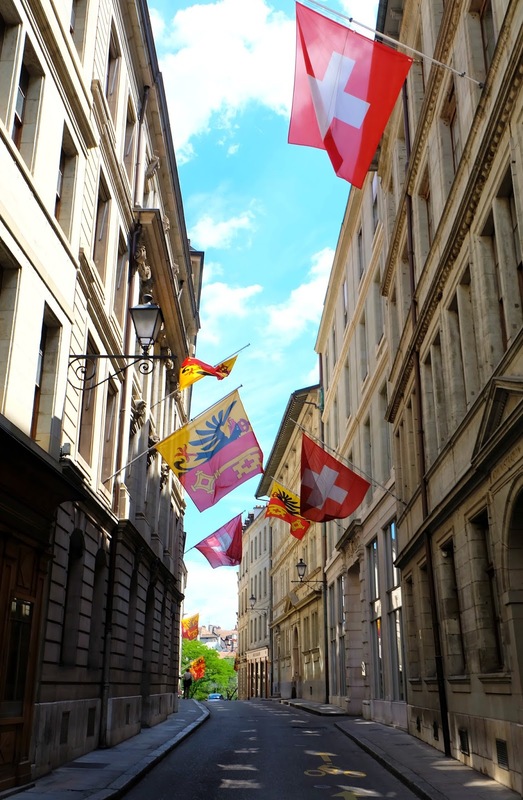 Walking around the Old Town was the first thing we did when we touched down in Geneva (after a speedy check in at the Mandarin Oriental! Review to follow) we grabbed some lunch close by to take on our wanderings of the Old Town. It's full of windy cobbled streets lined with cute shops, homes & restaurants that hold a historical feel to them. You'll find that your head will be left staring above at all of the gorgeous architecture. There's a particular view when you come across the exxxxxtra long bench, which gives you an elevated view of the city. 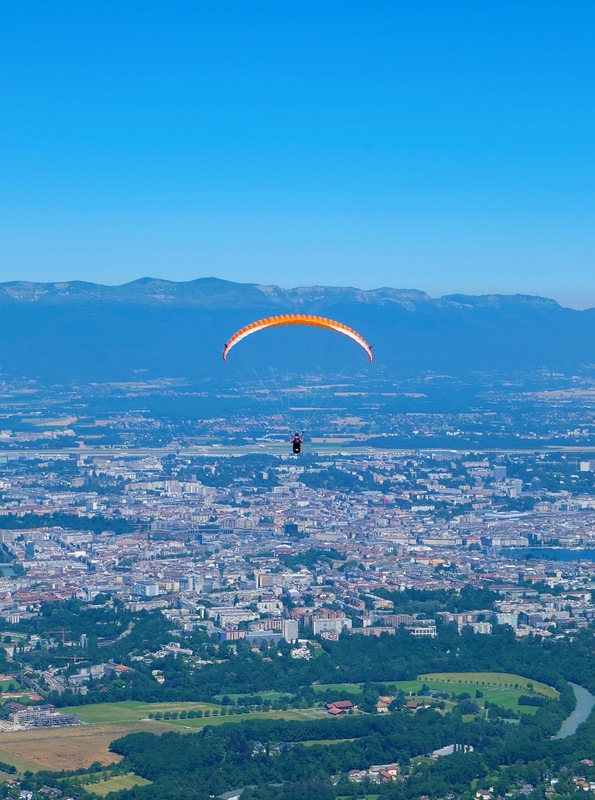 You can also see mount Saleve from there too. I personally love the stone alley ways, there's some cool secret spots perfect for some snaps. We did this on our last day, I would personally recommend having a full day clear for this activity- It was a shame we had to leave so quick due to our other plans for the day! 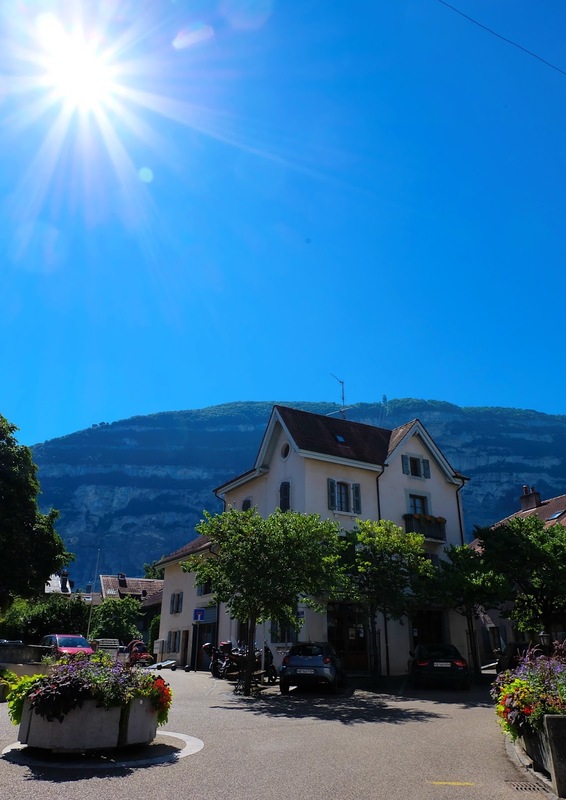 With our transport passes we caught the bus out to a village close by to Mount Saleve, it was a quick & easy ride out of the city centre. We then walked for about 15 minutes until we reached the cable carts at the bottom of the mountain. You can walk up, but unfortunately we didn't have the time to do so (and my legs sure did thank me for it, it's pretty high up!). It's only a short few minutes in the cable car before you are up the top of the mountain! I recommend trying to get views whilst going up and down by standing close to the window (if you're not afraid of heights of course!). The views at the top of the mountain are gorgeous, you can walk trails up there, eat & take in the views, or even play mini golf! Even if the weather is 30 degrees down on the ground, bring a small cover up in case you get a little chilly- don't worry though, the air is SO crisp and beautiful to breathe in, so it's pretty refreshing. On the second night of our Geneva stay, we headed down to the lake for a private trip on a catamaran. The lake is absolutely gorgeous. On a warm & sunny day make sure you make a trip out on to the lake. There's a lot of boat tours & private catamarans to choose from, though we absolutely loved our trip with Max at Le CATAMARAN TERRASSE Max & his wife were fantastic hosts and made our trip really enjoyable. We were welcomed with fun & upbeat music, cosy bean bags, & a delicious mojito. We indulged on snacks as we sat around chatting & taking in the glorious evening weather. It was a windy day, so we were at the port for an hour or so before we decided to venture out for a quick lap around the lake. It was so much fun, there was a solid 20 minutes where I was laughing so much that I didn't think my cheeks would be able to relax ever again! Picnics are my favourite! We headed to Restaurant du Parc des Eaux-Vives after our catamaran trip which is situated on a hill close by (it looks like the house from The Notebook! It's magical). The park hill overlooks the lake, and WOW! The sunset views are so beautiful. The grassy hill is where you can set up for the evening and bring your own little picnic along, though we decided to have a gourmet picnic basket from the restaurant situated at the top (the gorgeous Notebook style building) - it was packed with sandwiches, cous cous, vegetable crisps, decadent pastries & deserts, as well as some other picky bits! Picnics not your thing? the park is worth a visit regardless! Geneva's cathedral reminds me of Barcelona's when entering from outside. 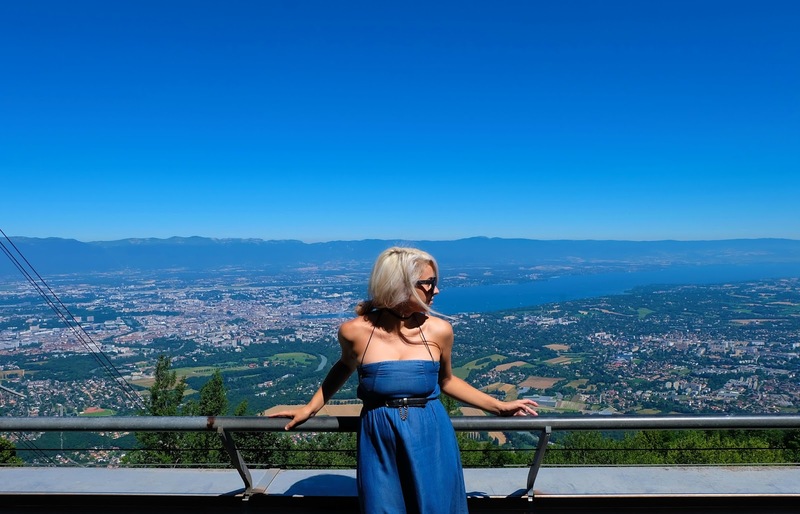 Both are stunning, though the views from the top of Geneva's cathedral were pretty amazing. Situated in the Old Town, in where you will find St Pierre. It's not an overly large cathedral compared to those I've visited in other cities, but I do love visiting them regardless. 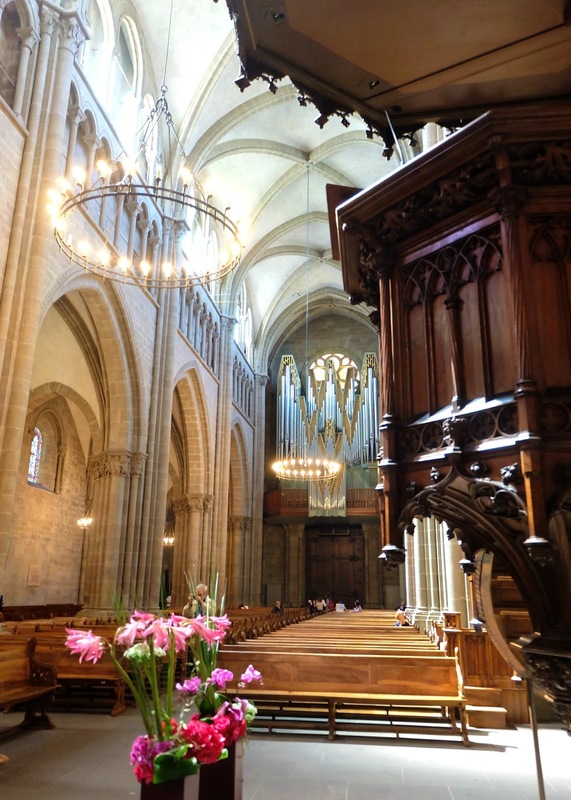 We were able to access the top of the cathedral with our 72 hour Geneva passes (definitely get one of those!). It was a fun walk up to the top via the small winding stair case, though, it's not so great if you get dizzy quickly or suffer from vertigo! 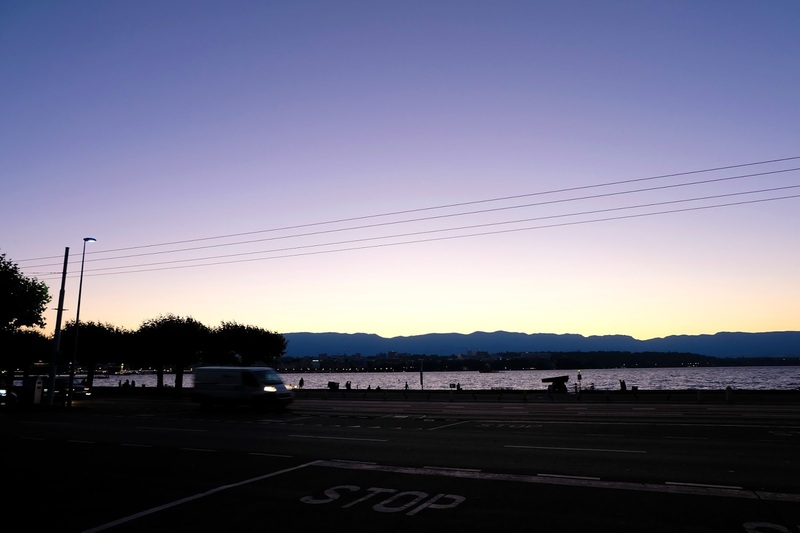 When you reach the top you can see the mountains surrounding the city, a wide view of the lake & the different districts, it's stunning on a clear day! You'll find yourself taking in the views for quite a while. I recommend wearing a comfortable shoe, simply because of the narrow stair cases! 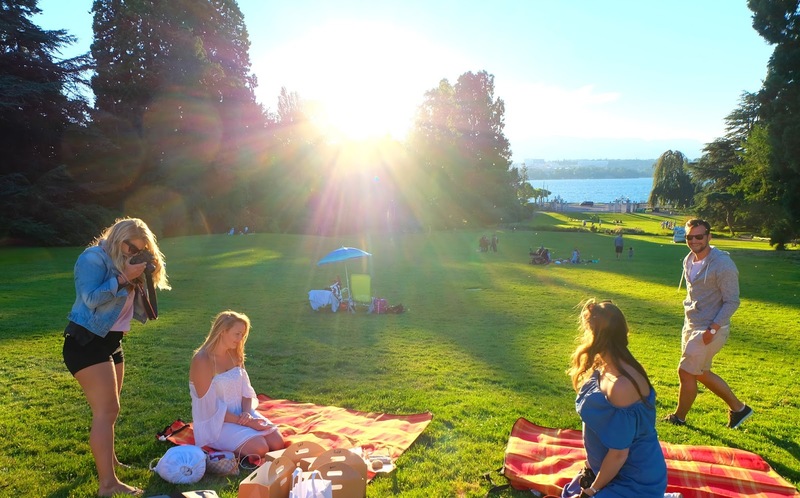 Originally, this wasn't part of our plans in Geneva, but when we heard about it, we had to go! I couldn't really believe what I was hearing, it was one of those things where you had to go see it for yourself. Even though my picture kind of says it all, it's pretty fascinating to sit and watch for a while. I found myself aimlessly gawping above the bridge for about 7 minutes straight. The walk to the rivers colliding is pretty lovely too! You walk alongside one of the rivers for most of it (the clear water river!) so the river teamed with the views as you walk through areas surrounded by trees are stunning. It doesn't feel as if you're in a city at all. The walk took us about 20-25 minutes, but with the weather being so glorious we really didn't mind walking for however long! Great posts, and stunning pictures.